Arena Fu is an arcade game developed by MINZAO GAMES. The game has simple graphics and unique game play. 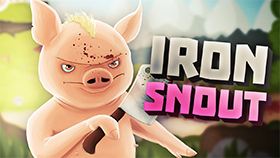 You can experience this game on your browser because it is a flash web game. 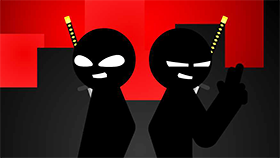 In the game, you will control a cute character and your task in this game is to kill as many enemies as you can. You will be playing the game with the horizontal screen and you will appear in the middle of the screen. Enemies will appear from the left and right of the screen. They will attack you. If you let them touch you, you will lose. You cannot move. All you can do is hit the enemy. You need to hit them as they approach you. The interesting part of this game is that when you kill enemies, the energy bar will increase. When the energy bar is full, you can use special skills. Use left and right arrow keys to attack. Use mouse to control and active special skill. Use special skills when too many enemies are moving towards you.